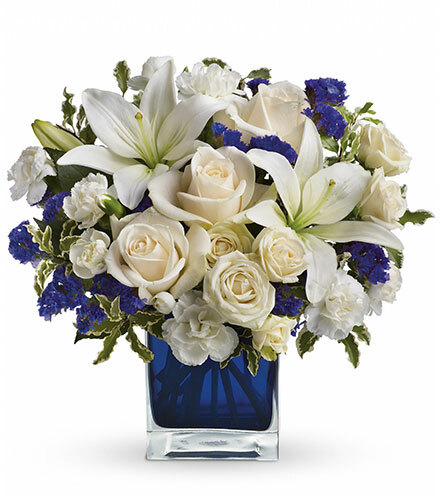 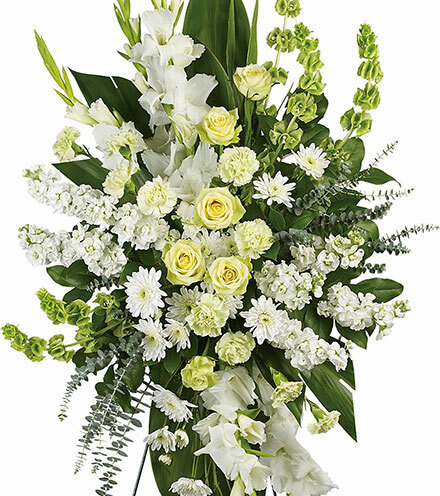 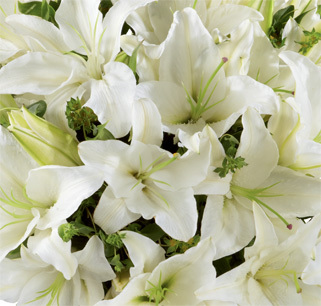 The gorgeous white Asiatic lilies grab your attention right away, but they only begin to tell the story of this uniquely beautiful bouquet also boasting yellow roses, blue delphinium and purple Monte Casino blooms. 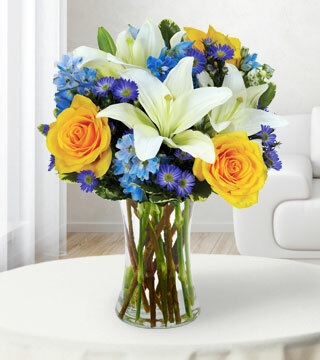 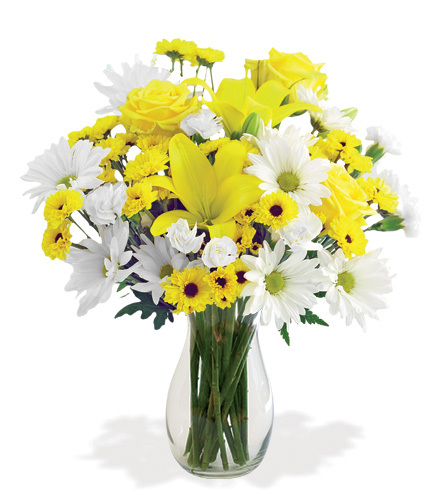 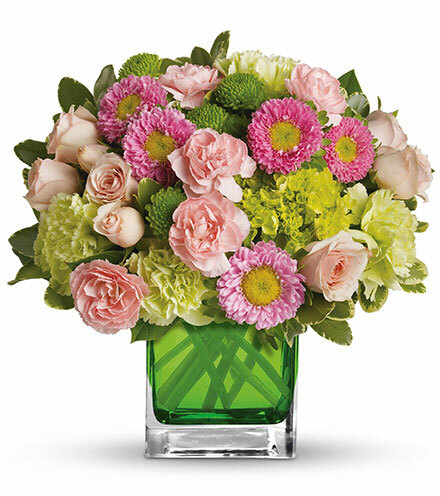 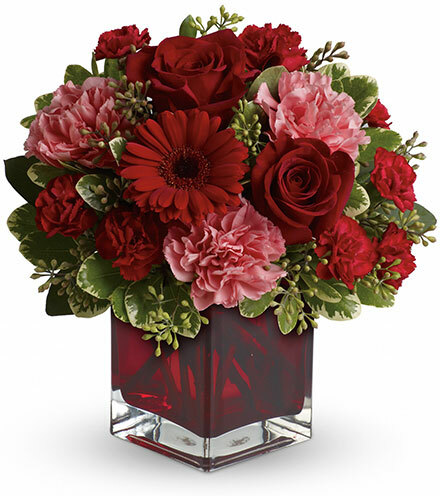 This bouquet is creatively arranged in a clear fluted vase. 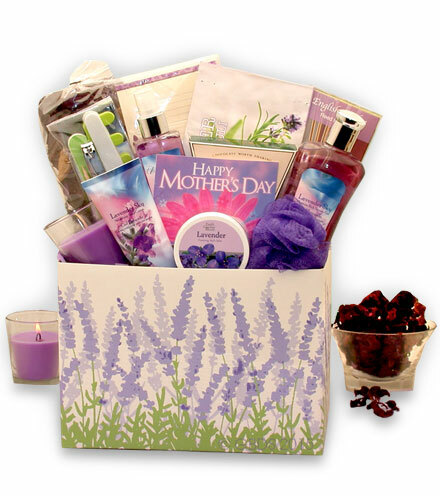 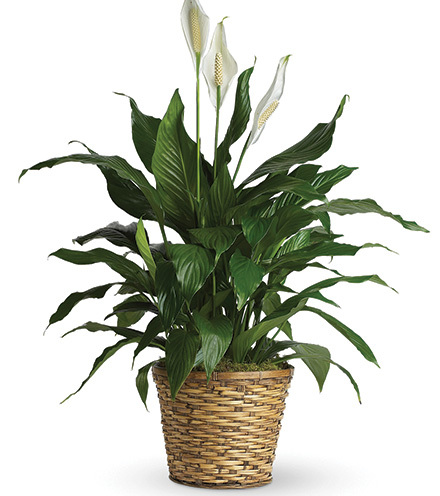 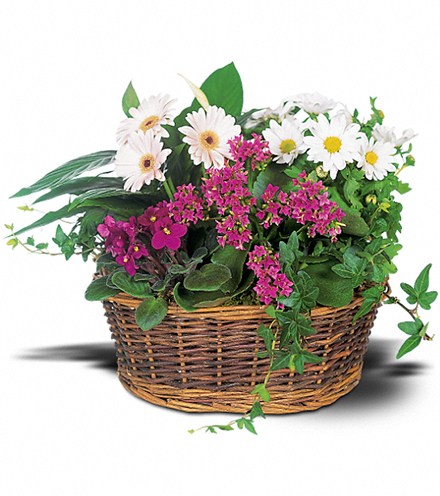 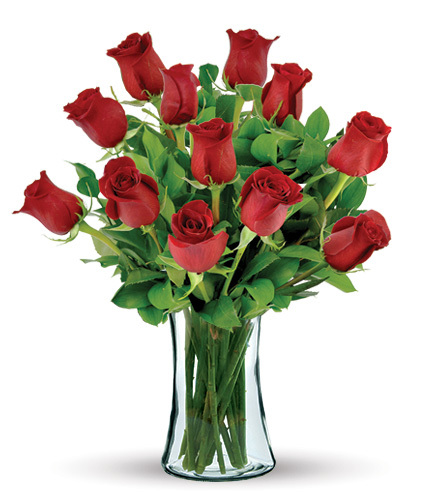 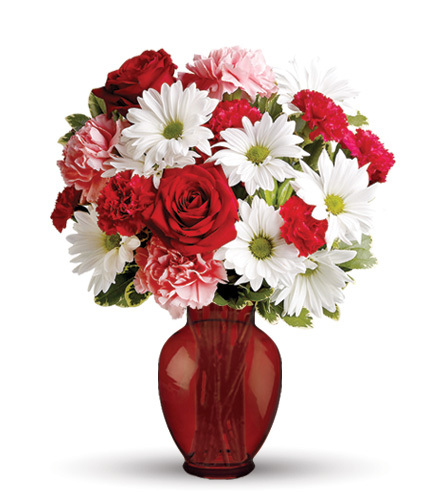 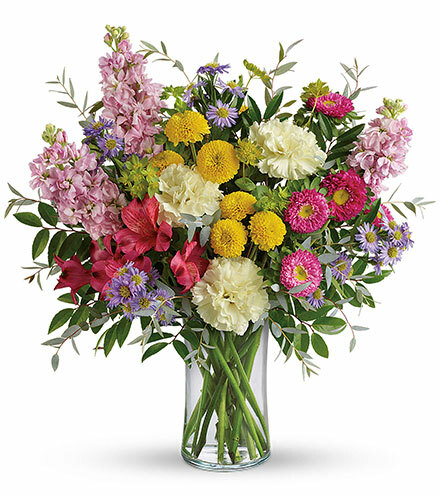 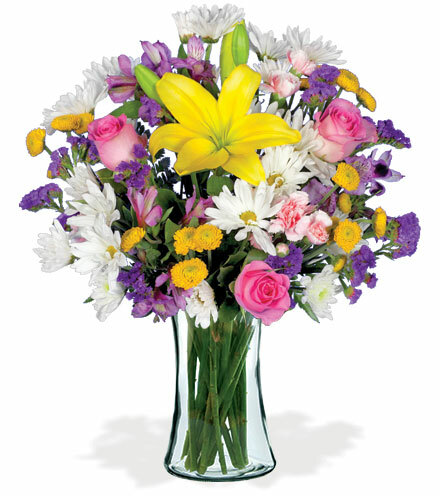 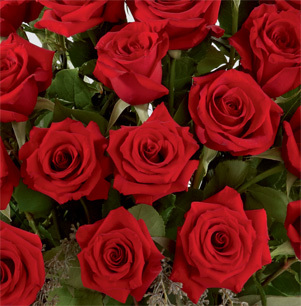 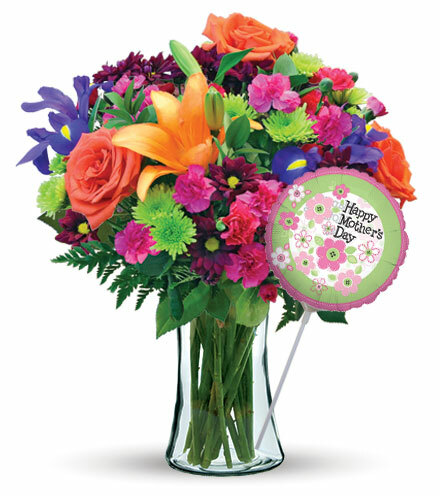 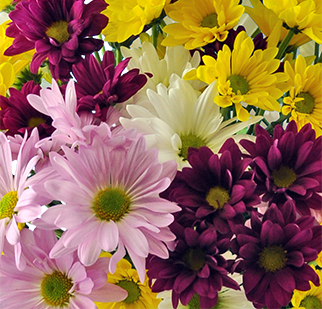 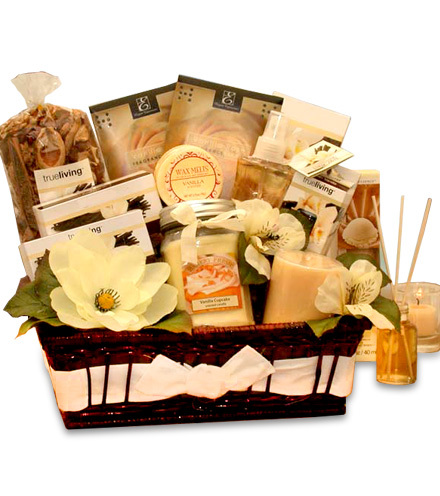 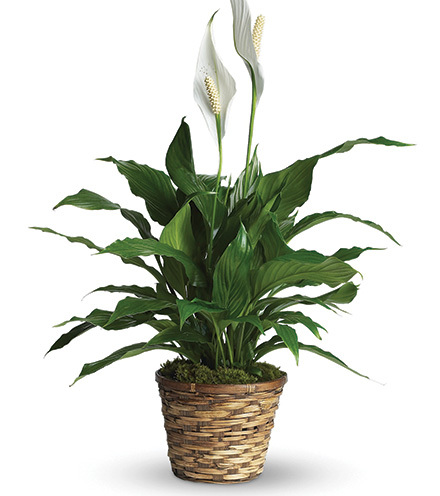 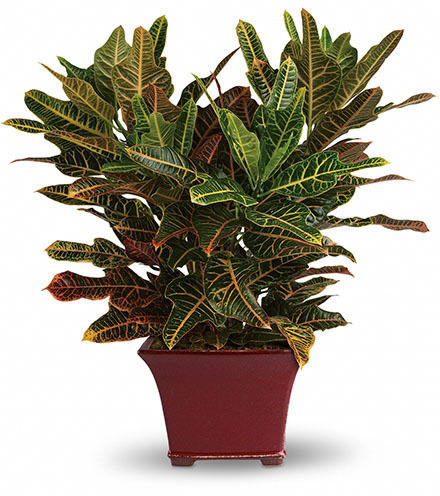 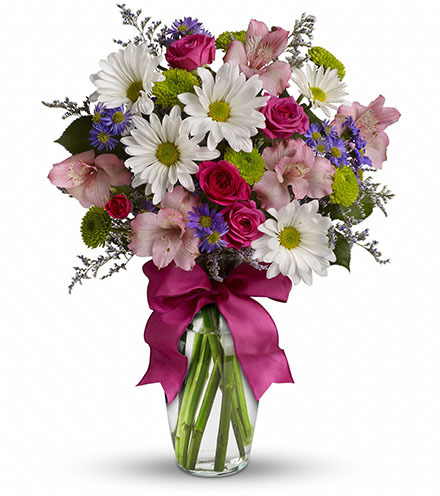 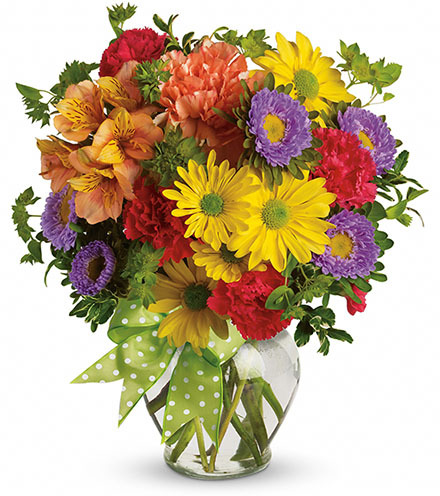 Our florists hand-design each arrangement, so colors, varieties, and container may vary due to local availability.